Help children love hymns that encourage them in their Christian life with this age-appropriate visual. 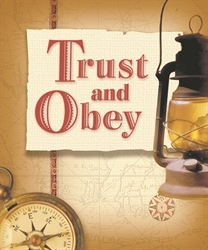 This 8-page book on sturdy cardstock includes two verses of “Trust and Obey.” The last page is the sheet music. Gr. 6.